Translating purpose and identity to the desired audience has always been crucial for any brand and digital has provided an incredible platform for doing so more accurately. But as the world of digital becomes increasingly complex and competitive, how can brands cut through the noise by not only standing out but forming a real connection? Consumers desiring ‘more’ from brands is not a new concept (corporate social responsibility was first introduced in the 1950s), nor is it limited to a younger audience. Currently, 57% of the UK population believe companies should have ‘a view’ on wider issues in society. * However, these figures slowly rise as we reduce and isolate the age bracket. This may not be groundbreaking or complicated news. The multi-dimensional aspects of these statistics, however, calls us to ask the question; how can brands go about tapping into these demographics and effectively showcase their wider belief system to their audience? The days of connecting with your consumer with one-off donations or via singular corporate fundraisers are slowing down. Now, brands are looking to build purpose behind what they produce, and translate that narrative to their audience. Through this stance, brands can establish a longevity in their message - stimulating a customer loyalty that makes their narrative whole. Purpose can be communicated in a variety of different forms. More so, a brand does not have to be sustainable to its core to connect with a modern consumer. However, it does need to be able to communicate it’s belief system in tangible ways that the consumer can understand. Brands need to implement a wider belief system through systematic integration - via projects that fuel and evolve a narrative. Giving purpose through a multi-layered identity that evokes authentic engagement is now considered an ideal stimulant for brand loyalty. Digital naturally represents the point of entry for inspiring brand loyalty. as channels such as Instagram provide an ideal and creative platform to translate a narrative, especially so with the Millenial and Gen Z consumer. Drawing on social channels to showcase your brand is not revolutionary, however, the way you approach it can be. In 2015, Forbes published an article stating ‘62% of Millennials say that if a brand engages with them on social networks, they are more likely to become a loyal customer.’ In 2015; social media marketing was in its infancy and Whalar didn’t exist. Even though the figures are now dated, they illustrate how crucial and effective it is to seize the attention of an audience via social media. River Island came to us for exactly this reason, to produce relevant content with traction. As an established, fast-fashion brand with a young, dynamic and diverse audience, River Island noticed a shift in their consumer's attitude and saw that they no longer wanted to be defined by convention. They wanted to celebrate this shift and translate their investment within their consumers in a very real way. River Island wanted to recognise the pressures that their customers experience in regard to social labeling, confidence, and body issues. 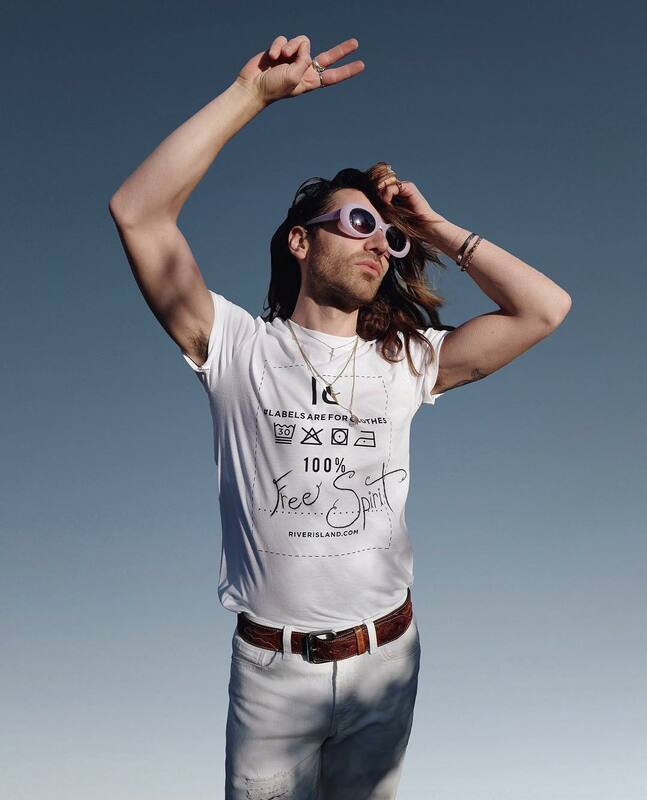 And so, with this in mind, for River Island’s 30th birthday, they raised awareness around stereotyping and supported the belief that Labels are For Clothes. Although many forms of social anxiety can become intensified by social media, platforms such as Instagram can be used for good to empower our differences. As stereotypes and binaries are quickly formed, they can equally be shut down if given the right, and relevant, voice. To make this narrative whole, they supported a charity that was truly relevant to River Island’s purpose. 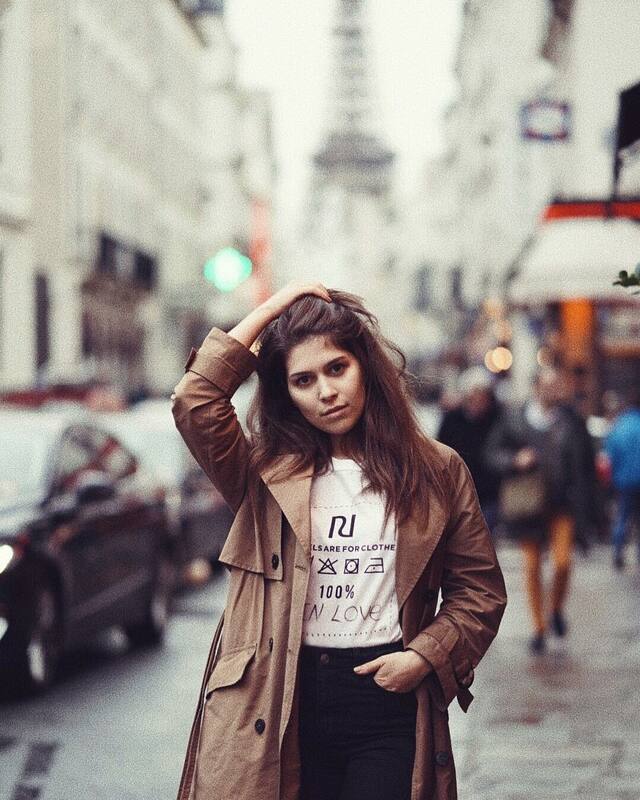 Ditch The Label is an initiative that was born within the age of social media. Having originated on Myspace, they are now recognised as a global charity, with influence spanning across America, Mexico, and Europe - territories in which they combat bullying by tackling the root causes and support young people aged 12-25. They estimate that every 3 minutes, at least one person benefits from their support. 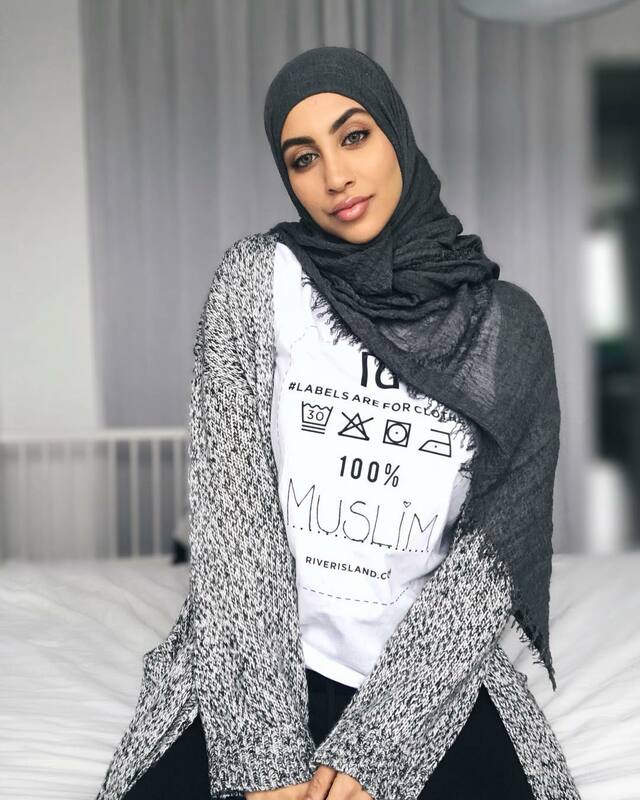 Under the title ‘Labels are for Clothes’, River Island launched a campaign, urging customers to leave the labeling to clothes, and not the people who wear them. They enlisted photographer Richard Burbidge to shoot an out of home campaign. He took 12 brilliant ambassadors who had all been subject to outdated social stereotypes and vibrantly empowered them. However, River Island didn’t just want to tell their consumers how passionate they are about these social issues simply using only 12 models to do this. Instead, they wanted to celebrate a range of stories and directly involve their consumers within the movement to tell the world of their real-life accounts. To directly engage and resonate with the desired consumer bracket, they asked Whalar to find creators with influence who resonated with the brand's message. In a true demonstration of the power of influencer marketings borderless reach, Whalar enlisted 92 premium and global content creators. Each tasked with producing a singular image that represented their empowerment and how they wanted to reclaim their label. In other words, we tapped into 92 separate audiences across Europe, America, and Mexico - all of whom have an organic relationship with River Island’s identity. By offering River Island’s identity to our digital world, over 4,500 individual pieces of User Generated Content were produced as a result, with followers sharing their own stories and experiences. The value and belief system translated via this campaign celebrates how well we can connect with the modern consumer on Instagram. Rigid advertising and corporate donations become abstract and meaningless in the wake of implementing a cultural message such as this. By having a true purpose and tailoring a brief towards this, Whalar executed 92 unique campaigns of the same concept, but all interpreted entirely differently. Creating a relevancy to over 7 million people that simply wouldn’t have been possible 5 years ago. 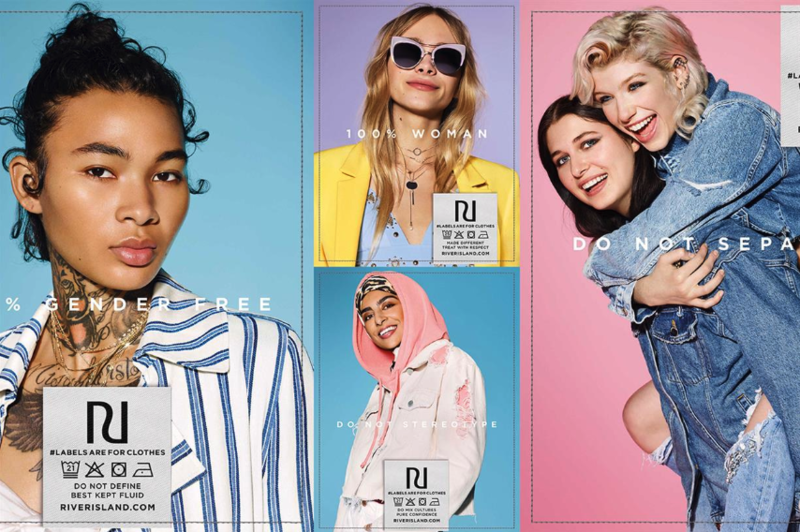 Traditional media platforms were not immune to the power of this campaign, with River Island’s content and charitable narrative being discussed publications such as Retail Gazel, Cosmopolitan, The Independant and Campaign Live. Another key manifestation of the social relevance and translatable message River Islands experience as a brand. When we look a the power of the messages behind each separate content creator, it’s not difficult to see how we achieved these results. This is Nneka – her family emigrated to the US to escape persecution. She told her story of a being first-generation immigrant and building her life in America including the toll it took on her family. She wanted to reclaim her label as the first generation to tell the world how connected she still is to her roots and proud of the sacrifices her parents made to give her opportunities. For Gregory, he is a free spirit who has built a following through his extraordinary travels around the world with his long-term partner. Prior to finding his voice, his sexuality wasn’t always he felt comfortable with. However, through this campaign, he was able to express his belief in freedom and adventure. Tapping into the conscious consumer is not an instant process, it requires investment in a cause over a period of time. It is for this reason that influencer marketing is crucial to be able to demonstrate brand purpose effectively and directly. Millennials and Gen Z are hungry for purpose and a story within a brand, but it must be communicated to them in a way that is relevant and inspires action. This campaign provoked such dramatic results because our creators speak the language of their audience; they know best how to engage with them. It is the trust within the creative voice of influencers that nourishes and layers this campaign. By working with premium creators, we can develop trusting relationships with creators and their audiences. It was River Island’s decision to collaborate with a charity with an amazing cause, that was relevant to their audience and culture. Through Whalar, they were able to communicate their message to key audiences so that all their incredible work would not fall on deaf ears. A brand can have an incredible story, it just needs the right campaign to tell it.